Timothy L. Thompson, a partner of the firm, focuses on estate planning, estate and trust administration, fiduciary accounting, estate and fiduciary income tax planning and return preparation, and elder law planning. His practice includes preparation of wills, revocable and irrevocable trusts, powers of attorney, and health care proxies for individuals of all ages. He often works with the trust departments of major institutions in connection with planning, implementation, administration and termination of estates and trusts. He has lectured on estate planning and taxation to professional, civic, church and social groups. Tim started at McCanliss & Early in 1973 as a Summer Associate. 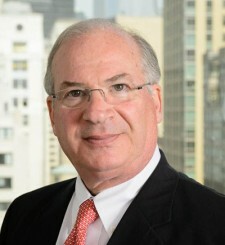 He became an Associate of the firm in 1974 and a Partner in 1983. Outside of his professional activities, Tim plays the violin and viola, is President of the Montauk Club in Brooklyn, New York, a Trustee and Secretary of the Down Town Association in the City of New York, Vice Chairman of the Adirondack Explorer, a Trustee of the Harding Educational and Charitable Foundation and serves as pro bono legal counsel to the Youth Service Opportunities Project.